An interest rate is the price of money, and a mortgage interest rate is the price of money loaned against the security of a specific property. The interest rate is used to calculate the interest payment the borrower owes the lender. 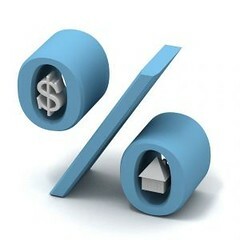 The rates quoted by lenders are annual rates. On most home mortgages, the interest payment is calculated monthly. Hence, the rate is divided by 12 before calculating the payment. Take a 6% rate, for example, and assume a $100,000 loan. In decimals, 6% is .06, and when divided by 12 it is .005. Multiply .005 times $100,000 and you get $500 as the monthly interest payment. Suppose the borrower pays $600 this month. Then $500 of it covers the interest and $100 is used to reduce the balance. One month later, when another payment is due, the balance is $99,900, and the interest is $499.50. The interest rate stays the same, but the interest payment is lower because the balance is lower. Is the Total Amount of Interest I Pay More Important Than the Interest Rate? No, the interest rate is more important in the sense that the lower the interest rate, the better off the borrower is. You can’t say that about interest payments, which depend not only on the rate but also on the loan amount and the term. Reduce the loan amount and/or shorten the term and interest payments will fall. Whether either is in your interest depends on the circumstances. Reduce the loan amount and you need to come up with more cash for the down payment. Shorten the term and you have to make a larger monthly payment. Some borrowers are bamboozled by this argument and pay a higher interest rate or fees for a biweekly mortgage that cuts their interest payments. But the lower interest payments on a biweekly are due to a shortening of the term, which results from making an extra monthly payment every year. If you need to get started in your home loan process, feel free to contact me KaraHolleran@hotmail.com or 239-246-6000. Posted on December 3, 2012, in Finance and tagged Borrower, Buy a Home, Buyer, Down Payment, Finance Me, Fort Myers, Genesis Lending Group, Interest Rate, Kara Holleran, Lender, Loan, Mortgage, Property Guiding, Real Estate Financing, SWFL Real Estate. Bookmark the permalink. Leave a comment.